The next activity will be a stained-glass-window craft with the Lenten theme, “Waiting for the Risen Christ“. The activity will be run by Celia and her daughter, Bernadette. The children will cut designs out of black card, or choose a ready-made design (more suited to younger children) and fill in the empty spaces with the beautiful glowing colours of stained-glass windows. Please bring a glue stick and scissors. Keep in mind that sharp scissors are necessary, so each design should be cut by an adult or older child. As we move to Laetare Sunday (the 4th Sunday of Lent) our windows will serve to remind us of the rapidly ending period of penance! BYO glue stick and scissors! Thanks to Michelle, Georgette and Frances for running our Shrove Tuesday activity day. 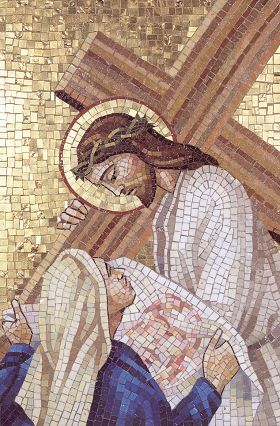 This week we will be praying the Stations of the Cross. Thanks to Frances for organising the sports activity day, it was a great day. This Friday, Kelly is running some Lent activities. Thanks to everyone who presented at the show and tell. As you can see from the photos, it was a great day with many engaging exhibits. The brothers from the Alliance of the Two Hearts are visiting us this Friday to run some activities for the children. Since we’re in March, the theme for the brothers visit will be St Joseph. A big thank you to Fr Justin Ford for the generosity he displayed in speaking to our children at the last activity day about the incredible events of Fatima. 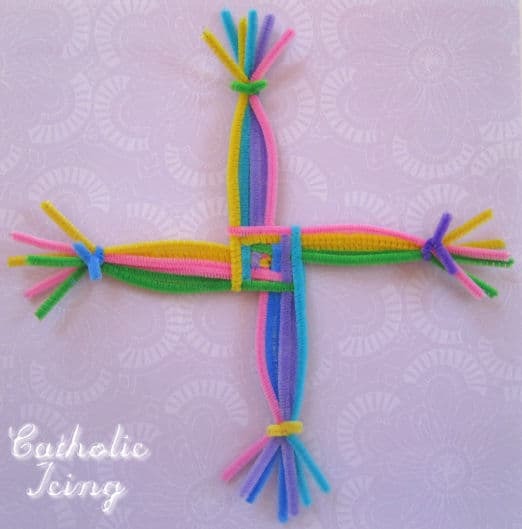 This Friday we will be praying the Stations of the Cross together; meanwhile the younger children will be making St. Brigid’s Crosses. You are currently browsing entries tagged with lent at Catholic Homeschool Activities Group.